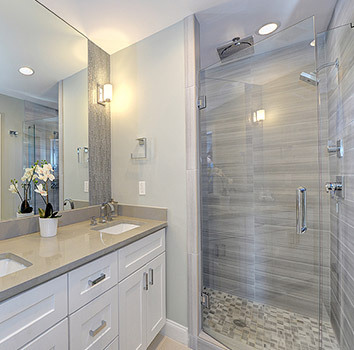 Nothing completes your newly renovated shower like a new custom shower glass door. The custom look allows you to tie it all in by being selective with the hardware hinges and handles. This will allow you to match with other hardware and fixtures in your bathroom. All the glass will be cut and made to give you the best and most precise fit in your shower. Stop by our showroom in Oxnard and let VC Home Improvement Center give you a quote on your custom shower door.